Motown Rising with Jacob de Golish! This episode has a lot to do with building, construction, restoration and the skilled trades. Jacob walks us through a large part of his journey, how he arrived in Detroit from Los Angeles and how he was inspired to hire men from the neighborhood for the transformation of homes. We had a chance to visit some of the Airbnb’s and man; you have to come and visit at stay at some of the places whenever you get the chance! 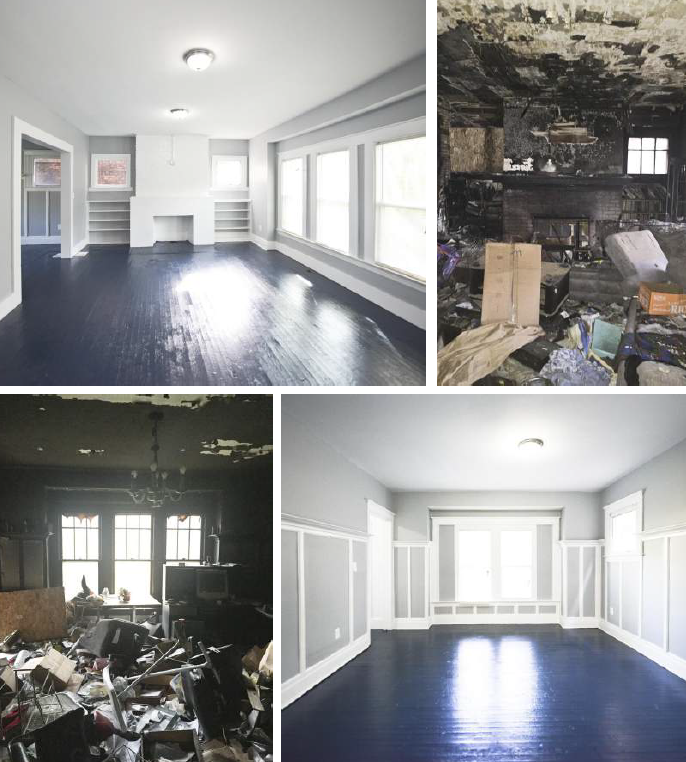 More Before and After Photos of the work of Motown Rising! Welcome to another episode of the Bonfires of Social Enterprise. This is Romy, and we have Jacob De Golish from Motown Rising today! We have Luke Trombley on with a fun fuel and SleepyWondr with their song ‘Loving You’ at the end. A talented line-up to be sure. This episode has a lot to do with building, construction, restoration and the skilled trades. 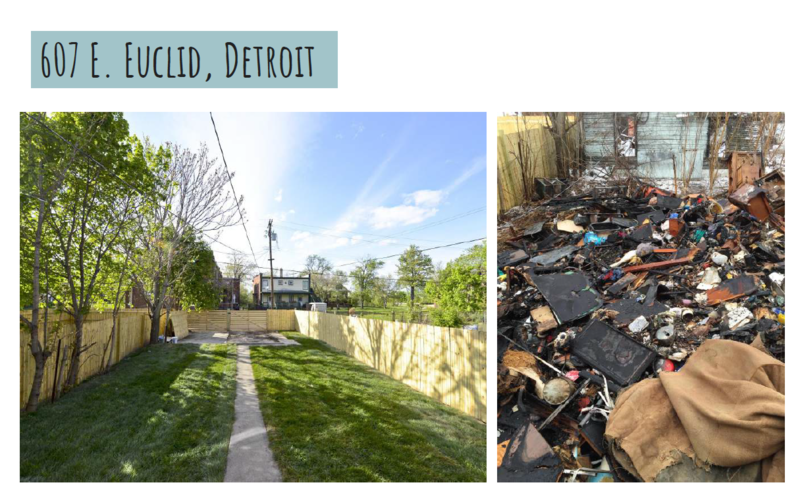 Jacob will walk us through a large part of his journey, how he arrived in Detroit from Los Angeles and how he was inspired to hire men from the neighborhood for the transformation of homes. We had a chance to visit some of the Airbnb’s and man; you have to come and visit at stay at some of the places whenever you get the chance! First, I would like to introduce a new voice to the podcast; Luke Trombley will be sharing some fun Fuels for the next few episodes. What do you have for us today, Luke? Hi! This is Luke Trombley and I am bringing you the fun fuel for this episode. While on the topic of construction, the great pyramids- while they’re one of the seven wonders of the ancient world- are also one of the constructional wonders of the world. The pyramid is estimated to have around 2,300,000 stone blocks that weigh from 2 to 30 tons each and there are even some blocks that weigh over 50 tons. Also, if we tried to build an exact replica of this pyramid, it would not be possible. We do not have the precise technology that the ancient Egyptians had that was necessary to build this pyramid. I hope you enjoyed this fun fuel. Enjoy the Episode! Thanks, Luke, that’s great. We look forward to your fun fuels on the next several episodes. Let’s get right to my interview with Jacob. I had the good fortune of interviewing him in person while sitting in one of his great properties. If you have a chance, we put some pictures in the show notes for this episode which you can access from the bonfires of social enterprise website. Back to the interview, let’s listen in now…. Jacob:	Yeah, we're in one of the Airbnb properties in Detroit. Romy:	So let's talk about Motown Rising then. 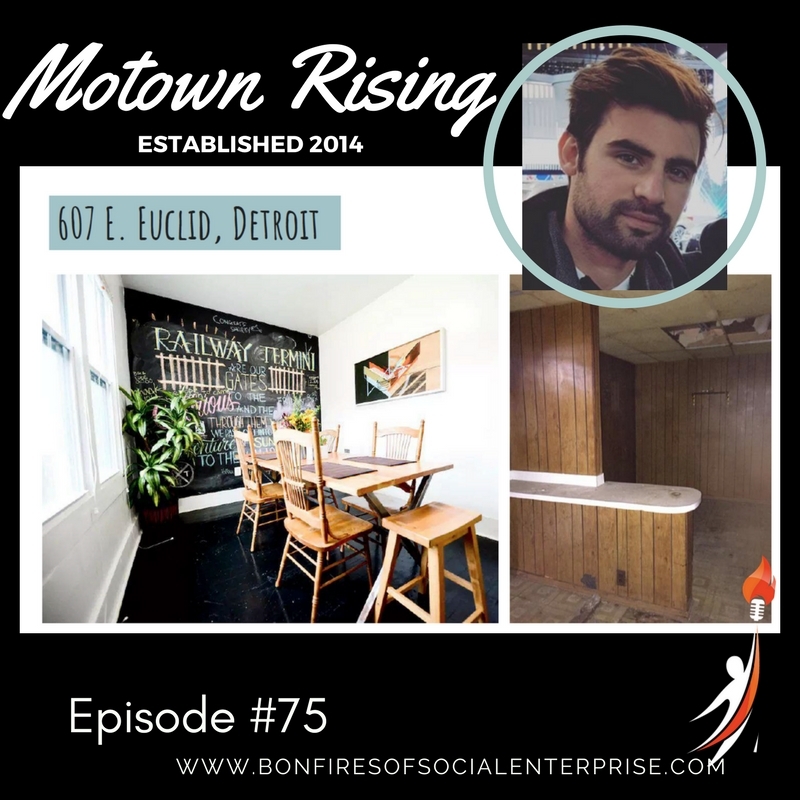 What is Motown Rising as a social enterprise? Jacob:	So, Motown Rising is a real estate company. 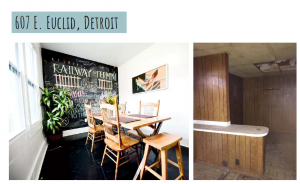 We invest in real estate in Detroit, in one particular area at this point in time. We buy homes, rehab them and rent them out, so it's a holding company, and in the process we have a nonprofit and the social part of that is we hire people of the community, teach them skill trades of their choice, so they actually get paid to learn a skill trade. Romy:	We're gonna come back to that. So it's a real estate and for some people that might not understand holding company, would you say you're buying homes and renovating them? Jacob:	Yeah, so we buy homes, renovate them, and hold them and rent them out. Romy:	Yeah, and sometimes for a longer term than just an overnight, right? Jacob:	Right, oh yeah, long-term, we're looking at five to 10 years. Romy:	Yeah, well great. So how did you even get started doing something like this? Jacob:	Oh, man. So, originally born and raised in Los Angeles. I was a real estate flipper and a developer, right when I finished high school. I had a really great mentor out there, and we started flipping homes, raising capital from investors, and then the market dried up, it got super dry and ... could I restart that? Romy:	Yeah, so how'd you get started in this? Jacob:	So ... okay, hold on. Romy:	Yeah, she'll cut everything else. Jacob:	She'll cut it out, okay. So I got started in real estate at 18 years old as soon as I finished high school. I originally started in Los Angeles as a flipper, and a developer and I got tired of having no community impact in what we were doing out there. It's very cutthroat, the deals are tough, you're bidding against 20 people sometimes and I just got tired of it, so I figured why not go to a place where we can actually make a difference in the community, and our work goes to something bigger than just us. That's how I originally ended up in Detroit. Romy:	How'd you get Detroit specifically? Jacob:	Well, it's funny. I was doing research on Detroit at the time, and I came across a website where you can buy houses for $500 bucks, so I got super stoked on the $500 house and that night I decided, "You know what? I'm gonna just buy 10 houses tonight," and I was looking on a map and was saying, "Okay, anything close to water should be good. Anything close to a school should be good," so we bought 10 houses for $500 bucks and two weeks later we got the deeds, and I was like, "Oh my God, we actually bought houses in ... like I didn't know what ... it was a really sketchy website, and we just took the risk and so we got the deeds. I told my partner, my mentor at the time, I was like, "Look, dude, I just bought 10 houses in Detroit. Do you want to check these out?" And he's like, "Sure, let's go." So we came out to Detroit, fell in love with it, saw just how beautiful the city was, the infrastructure that was here. It was sad to see the derelict houses, but it was also exciting because you had the opportunity to actually make something happen. At first, we started trying to do it remotely. So we hired a contractor out here when we were in California, didn't end up going so well, and at that point, I decided, "You know what? To make this thing really happen, I have to move to Detroit." Romy:	Yeah, and how long ago was that? Jacob:	That was about two-and-a-half years ago. Romy:	Yeah, wow, and how many houses do you have now? Jacob:	Now we have about 40 houses. The original houses I bought were not, to say the least, were not in the best areas at all. So having been here, I've been able to really pinpoint an area, pinpoint a market and really create something. I was really scattered before. Romy:	Yeah, and for the people who are listening locally, you're near Woodward. What's this area called? Jacob:	So this area North End New Center area. Romy:	Yeah, it's a great area. If you're from Detroit or you come to Detroit, this is a high-growth area and some really neat homes. So now you have this many houses, some are rented out, how did you start to recognize that you wanted to hire local and teach it, cause you teach too? Romy:	Yeah, you teach about construction, right? Jacob:	Right. It really came organically. In this particular area, North End New Center, we were working on a couple homes, and people of the community were coming to us on a daily basis, saying, "Hey, do you have any work for us? Do you have anything that we can do for the day." We were in the process of building our crew, so we didn't know ... and when I say we, it's my partner/foreman out here who's in the trenches with me, but we decided, "You know what? These guys have not seen growth in their neighborhood for however many years. They're finally starting to see people working on houses, so how can we incorporate them into what we're doing?" Cause I think that's super important in Detroit, is ... what's the word? Jacob:	Incorporating both communities, the new and the old. Jacob:	You know what I mean? Romy:	You made a statement that it's really important that you do integrate the old with the new coming in. There had to be a why in there that became important or was there a trigger, event or it just became obvious after a while? Jacob:	There was a trigger event where we were working on a house, and this young guy walked past, and he had his video recorder out, and he was recording us working on the house and saying, "This is gentrification at its finest. This is what ruins neighborhoods," and all that. I thought about it, and I was like, "We're not trying to gentrify anything," but gentrification has a horrible connotation to it. As a developer, I could see the developer side, as a community member, I could see the community member side and I think that was actually the triggering moment where we had to figure out really we don't want that term label with what we do and I'm coming into a new neighborhood where I don't know anyone, and I have to really understand what these people have been through, the struggles that they've had and how can we make it better? So that was actually a defining moment. Romy:	Yeah, I feel like there's always those events or moments that are pivotal for us as entrepreneurs that, if we're paying attention, is an opportunity to do something cool even though it can feel prickly for a minute, but if you allow yourself to lean into that, you can come out with some neat stuff. So how did you start hiring the first people or did you just start by making room for them on your team? You had to probably quickly discover there had to be a training element. These weren't people who were already high skilled in carpentry or plumbing or electrical. Jacob:	So the funniest thing is anytime we take on a new hire, we always ask them, "Okay, what can you do?" And every single one of them, without fail, say, "I can do everything. I can build a house from the ground up," and that's often not the case at all. Jacob:	So, what we do is we say, "Okay, go home, get your boots, come to work," and we'll put them on certain assignments and we'll kinda gauge where they're at. Most of them don't generally have any skills. Jacob:	So we'll start everyone in the same position. We'll start them as laborers, so that's demo work, cleanup, and helping some of our other guys with whatever they need. At that point, we'll see if they're taking it seriously so we have set guidelines, which is we work from 8:30 to 5:00 every day or Monday through Friday, show up on time, say please and thank you, just soft skills like that. When they start taking that seriously, then we'll say, "Okay, if you could learn any skill trade in this house right now, what would you learn?" And they'll generally say, "I'd like to learn plumbing or electrical or roofing or framing." So whatever they choose, okay, let's say it's electrical. "You will work with our master electrician. He's a master at what he does, and he's gonna guide you and mentor you and teach you how to run wires." So the next day, you're literally running wire, you are learning how to set up panels and how to do plugs and set up a room for outlets and where the lights go and all that. The idea behind that is that as we grow and we have more properties, now the mentees have turned into mentors and they're now able to mentor the new mentees. Romy:	Wow, so smart, yeah. Jacob:	And if that's not the case and they're really good, and they want to go work on their own projects, even better. That's the goal that we have for them, and they generally take it. Jacob:	No, they generally take the opportunity to shine. Jacob:	But every single guy who has worked for us, at least our main crew, which is about 35 guys, they've all been with us since we've been here. Romy:	That's amazing, and I know you do some other things like they actually go on a payroll, so they're paying payroll tax and FICA and all that. Jacob:	Right, so that was a huge obstacle that we had to overcome because a lot of these guys when they started with us, they didn't even have IDs, they didn't have any sort of bank account. We wanted to be a legit company, so we said, "Okay, look, here's the deal. We need you guys to get on payroll. We need to help you set up your IDs, your bank accounts. You're gonna be a respectable citizen now." Romy:	Yeah, right. Did that surprise you at all about this area? That there's so many that don't have bank accounts? Jacob:	Yeah, I was pretty surprised at that, but it kinda made sense if you take a step back and you look at it. What we do is we try to take the people that most employers would turn away and we want to build a superstar team. We want to build a winning team with them. Romy:	Oh my gosh, awesome. Jacob:	So a lot of these guys have insane records. They just haven't had opportunities like most people have had, so what happens in that situation? Well, in order to survive, you do things that you shouldn't do, but you need to survive. Jacob:	And then eventually you're gonna get caught, these guys get caught, and now they have a record and now what are they gonna do? Jacob:	Yeah, it's a horrible cycle and they can't do anything, so that's why they don't have bank accounts, driver's license, is because they try to stay under the radar, but now that they have employment every single day, and the only thing they need to worry about is what they're gonna get finished on that day rather than how are they gonna eat today, makes a huge difference and makes them feel comfortable, and they don't have to worry about a lot of the things they used to have to worry about. Romy:	Yeah, I think people act differently when they're not in survival mode. Their true personality comes out when they're able to be relaxed, their creativity comes out, they let themselves learn things, you're not feeling all confrontational all the time, it's a different thing. While we're right on that, is there anything that really surprised you, that you're like, "Wow, I say I believe in people, people shock me sometimes at the levels they rise to on their own if given an opportunity?" Jacob:	Absolutely, so when I go back into some of the first properties we were working on, and I think back, "Okay, how long did this take us to do and what is the quality of work?" When we were first starting out, houses were taking us three to four months to complete, and the work would be C-grade, and then, with the same team, just with guidance and with persistence and dedication and work ethic that we've been able to instill in these guys, we're getting the same houses done in under 30 days, with A-level quality. Jacob:	So it shows you that it can be done, you just need to put the time and effort into it. Romy:	Yeah, and patience to help teach people when they repeatedly make mistakes. My husband is in remodeling, and that's why he's like, "Oh, you gotta have a lot of patience to teach those that are just learning." Romy:	Yeah, so let's go on to houses for a second. The houses, we've been in a couple of them that you've taken us around, they're beautiful on the inside. Let's talk about some of your modeling about ... cause you have somewhat of a template with colors and that, right? Romy:	To make it a little easier? Jacob:	So back to the business, we do run a rental business, so all these properties are rented, and it's easiest if everything is the same, down to the thermostats. So you have the same thermostats, you have the same plugs and switches, you have the same tile and lights, and that's for in case anything goes wrong you don't need to come back and say, "Okay, what color paint is this? How do we ... cuts down our efficiencies. Being incredibly efficient is how we're able to survive with the social aspect. Jacob:	So we have different templates for different houses, but we try to use the same paints, essentially the same template. Romy:	Similar, they're all similar, yeah. They're all unique, of course. Jacob:	They're all unique, yeah. Romy:	Then let's talk about the decorating and that. You're using some local artists, and you've gotta cool way to get furniture in there. Jacob:	Yeah, so for the Airbnbs, we've partnered with local Detroit artists and what they do is a lot of artists have extra work that they're waiting for their next gallery or their next showing to sell it, so it essentially sits in a corner and Detroit has some of the best artists in the world, amazing artists. So what we did is we partnered with some artists to house the Airbnbs with their art, so it's essentially a living art gallery cause it changes all the time, with the idea that they sell to the guests that stay in the houses. The artists get 100% of the proceeds if they sell anything, we'll ship it out for them and do all that. Incorporating art into the community is, I think, very, very important as well. Jacob:	So all the furniture is either stuff that we've found in abandoned houses or estate sales, so it's all recycled furniture, that's how we put it together. Romy:	Do you have a place that you store some of that in between or is it sort of juggling it around? Jacob:	Yeah, it's all juggling. Romy:	I was gonna say, that's what most of us are doing, but you just make it work. Jacob:	Yeah, and the best part is ... So we'll go ‘estate-sale-ing’ at least five weeks before we have a new property coming up and we have no idea how it's gonna look, but we're just buying pieces that we like and that we think are cool and then, once the house is done and we start moving all the furniture in, that's when we're like, "Okay, how is this gonna work out?" But somehow we always make it work. Romy:	That's so good. So how many properties of those 40-some are Airbnb and how many are regular just home rentals? Jacob:	We have three Airbnbs and the rest would be long-term rentals. Jacob:	Oh, man, we got the whole gamut. Right now we have a guest from, they're in town for two weeks, and they're the cast members of a play at The Fisher Theater. Jacob:	We also have guests right now who are social entrepreneurs who are interested in Detroit. We just had guests from Ireland; we got the young DJs from Berlin, we get just the whole gamut of guests. Romy:	Yeah, for those that may be listening that aren't familiar or haven't attempted to stay in Detroit, one of the problems for accommodations, it's generally been mostly hotels. We've got a couple hostels here, but there really isn't anything like ... there isn't a plethora of places like this to stay, so it's an amazing opportunity from a business perspective, isn't it? Jacob:	So what happens in Detroit is we have hotels in Detroit. They're often very expensive and downtown is a very curated experience, which is fine but we wanted to provide our guests with a real, authentic Detroit experience but still, have it be safe and enjoyable. So that's why we decided to turn some of the houses into Airbnbs cause Detroit is an extremely awesome place. Romy:	Yeah, we think so. I'd love to hear your comments coming from LA. When I've gone out to visit LA, people find out we're from the Detroit area; they're like, "Ah, is it safe there? How do you walk around?" What would you say to others who haven't been here about the safety piece now that you've been here? Jacob:	Well, before I moved here, I lived downtown LA.